Today on Europe Day, 9 May, we met colleagues from CILAP and the Italian EMIN network in Florence. At a public meeting, we had a good opportunity to present the state-of-play on minimum income in Europe and the aim and activities of the EMI project to the audience. Nicoletta Teodosi, president of CILAP gave an introduction on the New Reddito d’Inclusione (REI), the minimum income scheme, that was launched earlier this year. After a period of experimentation with the social card and Supporto all Inclusione Attive (SIA), or support to active inclusion, Italy finally created, as the last country in the EU, a general scheme for people in need. Before this, the country had many different schemes at regional level. Nicoletta explained that REI is an important step forward, since it constitutes a structural measure, based on law, combined also for the first time ever with a strategic plan to fight poverty. When fully rolled out, it will have 2 billion € of funding, to support families with dependent children and unemployed people above the age of 55 years. It is still too early to evaluate the REI. However it is already clear that the systems will need improvements later. Estimates show that only 30-35% of families requesting support receive it, because of the conditions attached to the scheme, especially the requirement to actively search for work. In reality, this condition proves to be particularly difficult for people with disabilities, for people with low educational skills or reduced capacities. Activation to seek employment is a new concept in Italy and there is no strong tradition of supporting vulnerable people to integrate into the labour market. Therefore, it is often not reasonable to cut the benefit after 4 months, expecting all people to be back in work and take care of themselves. Michele Minicucci, spokesperson for the city council of Florence, told us that Florence had already introduced measures to assist people in need, but that the REI considerably helped them to improve the assistance because of the additional national funding. However, he also acknowledged that the scheme needs to be changed. He gave the example of an older women in need and with health problems, who receives only 100€ a month because her youngest son, who is working, is living in the same house. With these cases in mind, Florence is reflecting about granting additional benefits, not related to activation, to enable people to participate in social life. He thanked EMIN for our efforts and promised to organise a follow-up meeting to deepen cooperation with third sector organisationw like CILAP can reach out to people in need of support. 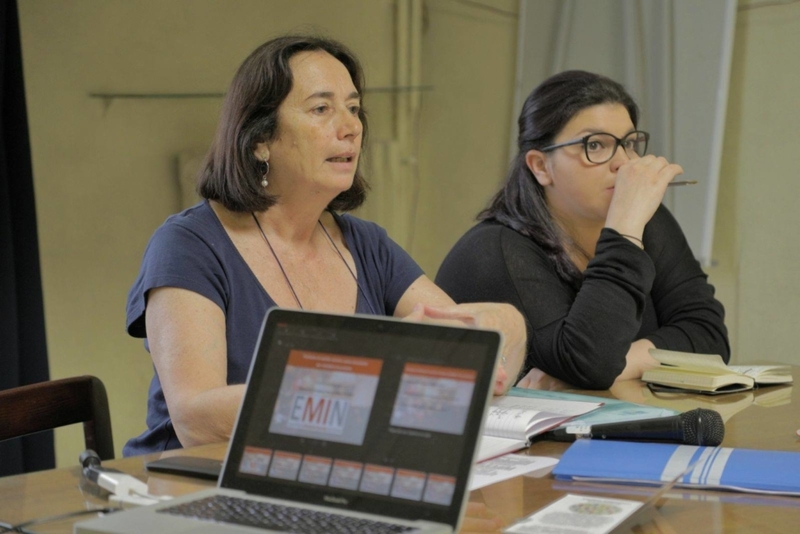 Maria Assunta Lucii, from a local social organisation working on cultural differences, emphasised the importance of initiatives like EMIN to avoid leaving the space to populist parties and anti-migrant sentiments. Nicoletta closed the meeting expressing the intention to reach out more to those people who do not live in extreme poverty, but who have not been able to fulfill their expectations in life and have lost hope since the crisis.